In the first half of life, we are naturally preoccupied with establishing ourselves; climbing, achieving, and performing. But as we grow older and encounter challenges and mistakes, we need to see ourselves in a different and more life-giving way. This message of falling down - that is in fact moving upward - is the most resisted and counterintuitive of messages in the world's religions. 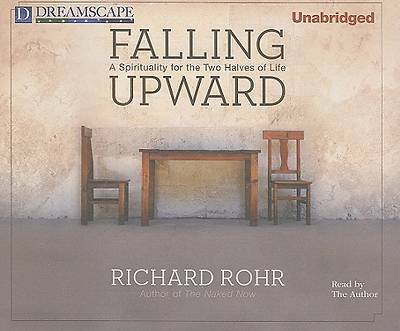 Falling Upward offers a new paradigm for understanding one of the most profound of life's mysteries: how those who have fallen down are the only ones who understand "up." We grow spiritually more by doing it wrong than by doing it right, and the disappointments of life are actually stepping stones to the spiritual joys in the second half of life.